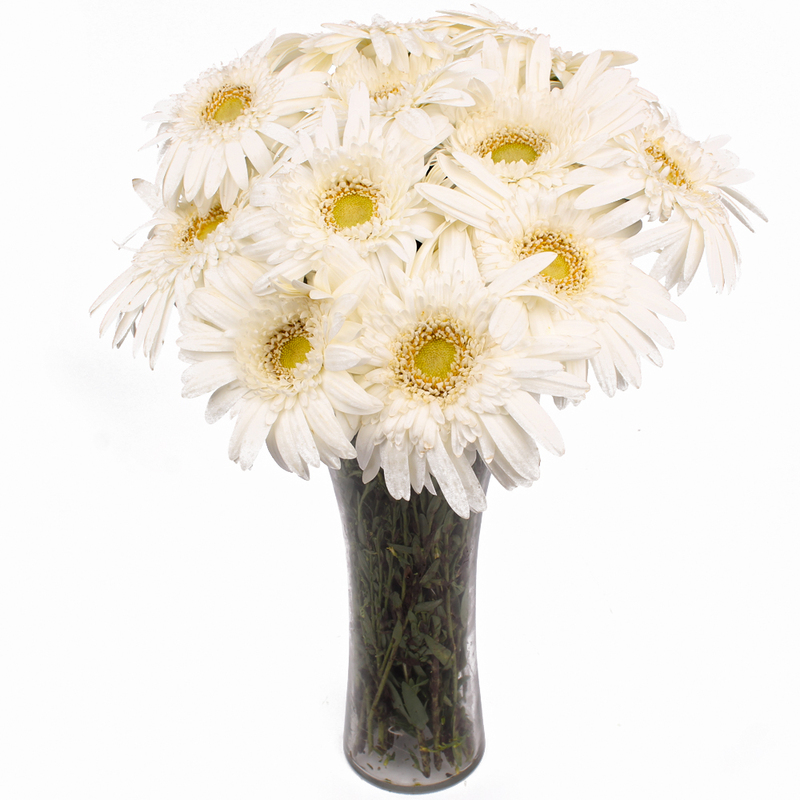 Product Consist : Twelve White Gerberas with green fillers nicely arranged in a Vase. 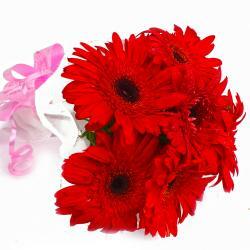 White Gerberas in a Vase with beautiful greens are sure to win the heart of your loved ones in India. They are pretty, bright and perfect. 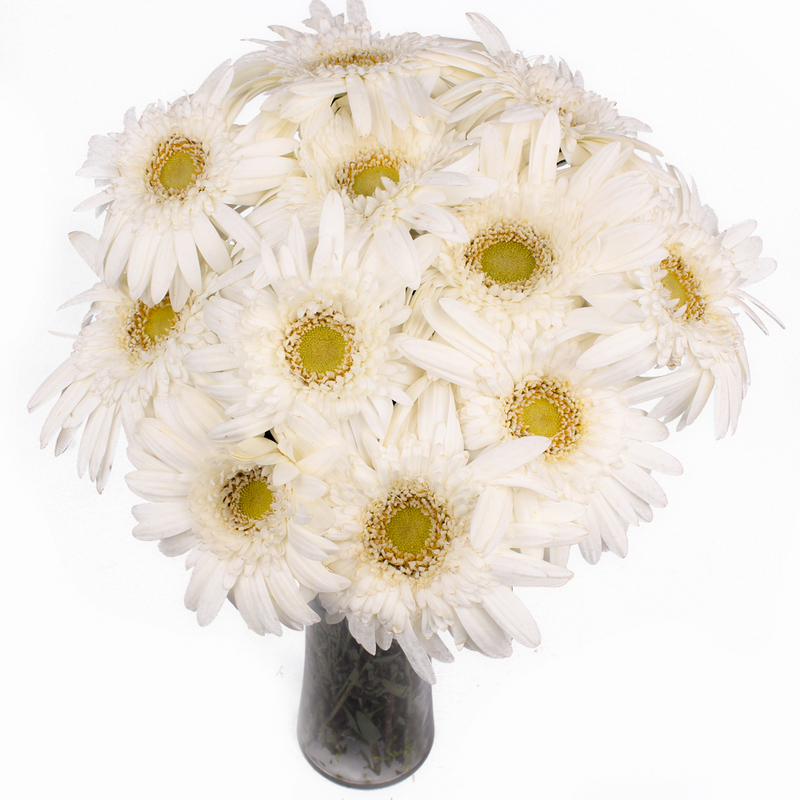 There is nothing like Dozen White Gerberas to show your affection. 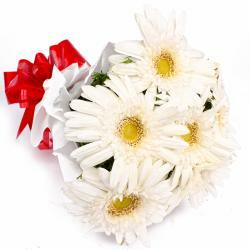 Send this White Gerberas arranged in a vase through Giftacrossindia to someone you love on different occasions like Birthday, Anniversary, Missing You, Dusshera, Makar Sankranti, Boss Day.The flower arranged is beautifully presented with green leaves and fillers, adding charm to the same. 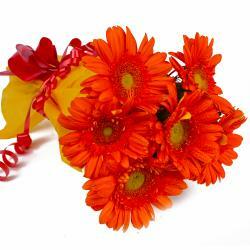 Send this Gerberas to your dear ones in India through Giftacrossindia. You can also send other Gifts to India. 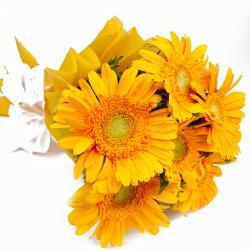 Product Contains : 12 White Gerberas with green fillers nicely arranged in a Vase.